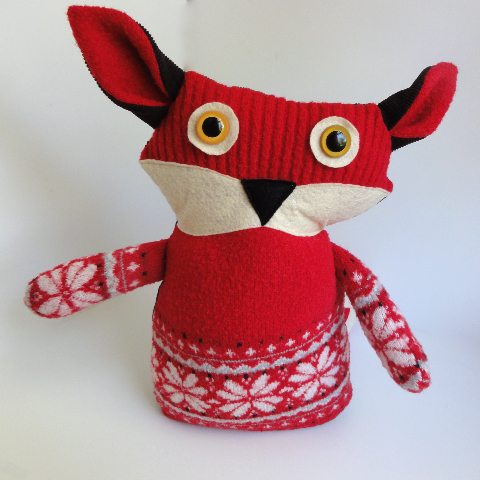 Design Lab 443 on Etsy is a place where fabric, felt and other goodies magically come to life. I was in need of a huggable gift, so we took a trip around the corner to visit the lab of my insanely creative and eco fabulous friend Tracy. We took Copper the Red Fox home along with a little bee to be Copper’s buddy. Tracy made Copper from recycled materials and her own custom fox pattern. 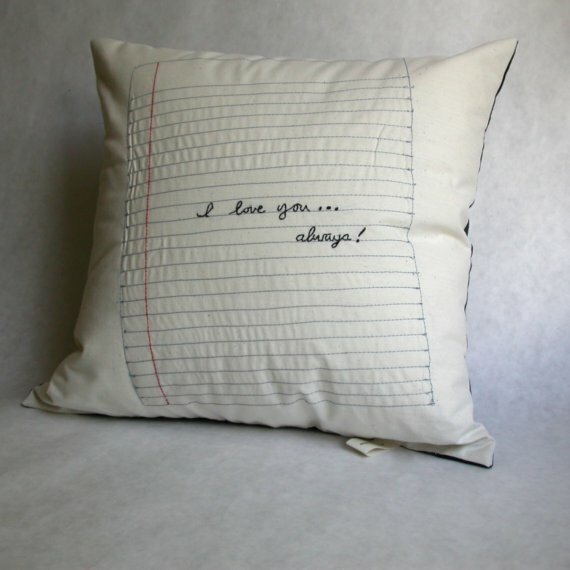 Design Lab 443 carries personalized pillows like the Crossword Family Pillow, Scrabble Family Pillow and this Custom Love Note Pillow, too. LOVE! 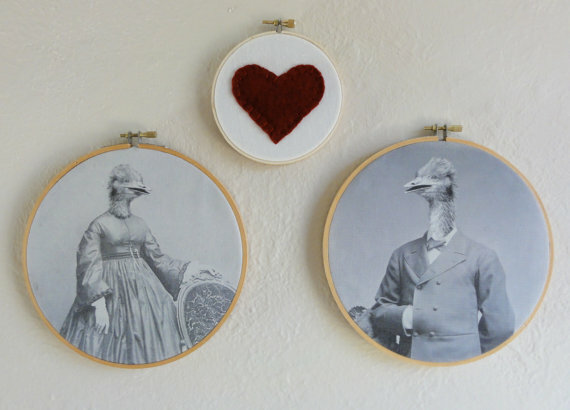 For the walls, Tracy designs anthropomorphic art prints and printed embroidery hoops. I’ve fallen for her Three Hoop Collection: Oliver & Odessa in love. 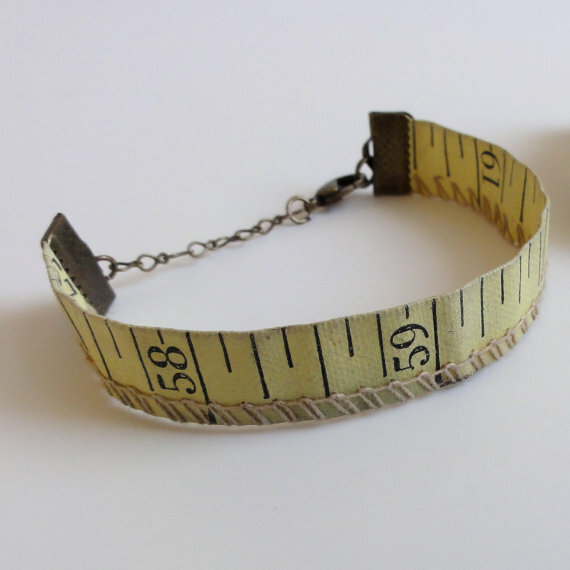 When she’s not sewing, upcycling or creating anthropomorphic art, Tracy is on the hunt for cool vintage finds. 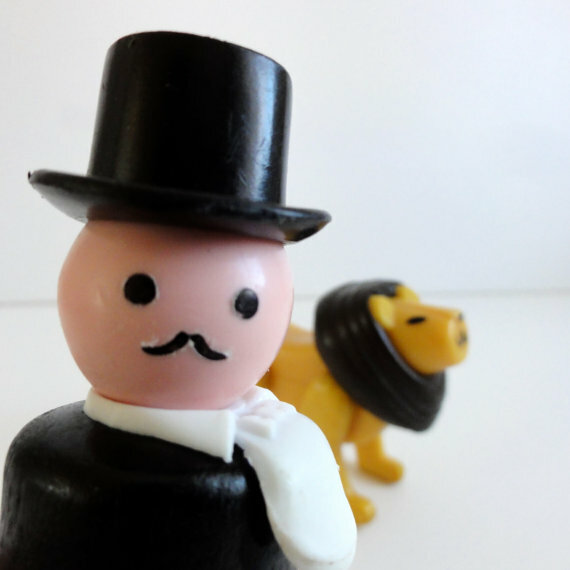 This Fisher Price Little People Ringmaster and Lion takes me back…wait, my childhood toys are now considered vintage…?